Been a bit tardy in writing up reviews for the first part of 2011, due in no small part to the fact that I’ve taken on the role of CIO at Splunk, and having a great time focusing on all that entails. The other factor is that we have not been fortunate to catch many great shows since the new year. However, one of the best was seeing Black Dub on January 31, 2011, at the Independent in San Francisco. As they are coming back to the Fillmore on May 29, here is a recommendation. 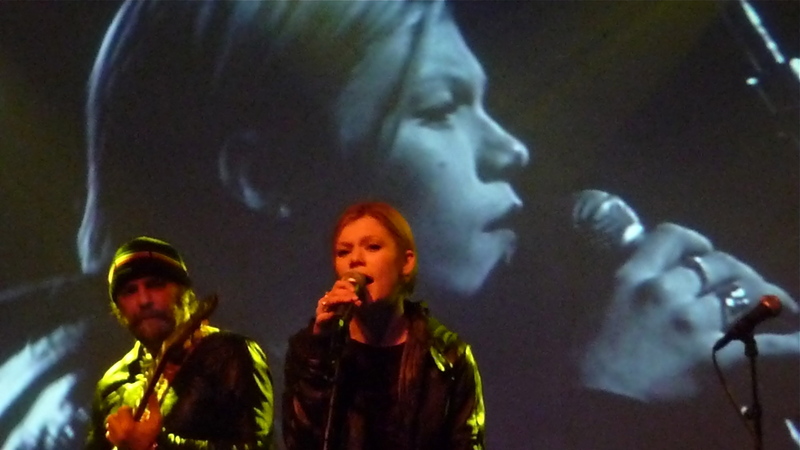 Black Dub is a collaboration between Daniel Lanois (guitar, vocals), Trixie Whitley (vocals, drums, etc.) Brian Blade (drums) and Daryl Johnson (bass, vocals) resulting in a concoction of smoky blues and rhythm directly descended from the original form. Trixie is the daughter of the late guitarist Chris Whitley, and she is a revelation – a powerhouse vocalist, drummer, and overall multi-instrumentalist. For anyone not familiar, Daniel Lanois is the famed producer for Peter Gabriel, U2, Bob Dylan, and many other imaginative artists, and as a solo artist, he has released several stunning albums, most notably his first two releases and the soundtrack for the movie “Sling Blade.” Lanois music traverses rock, jazz, soul and most often Cajun blues. His first recording, 1989’s Acadie, is a masterwork that should be in every music fan’s library. As the leader of Black Dub, Daniel’s role is more as an equal member of the band. Trixie is the perfect foil for him, pulling both into a darker angrier blues, and then back to happy, almost joyous tracks, while keeping the unit from drifting off into excess. Brian and Daryl are accomplished musicians in their own right, and together establish a propulsive foundation for the inventive soundscapes. The extremes make the overall work very dynamic, and best heard live. The band was incredibly tight throughout, and covered two standout solo tracks from Lanois’ first two solo albums. Daniel played a third track as a solo on pedal steel guitar – an unearthly, and beautiful ambient piece from 2005’s Grammy nominated Belladonna. If this sort of blues makes you happy, or maybe just a bit sad, you’ll want to experience this stellar band live. Arcade Fire burst on the scene in 2004 with their first full-length album “Funeral” quickly winning over the indie rock community. 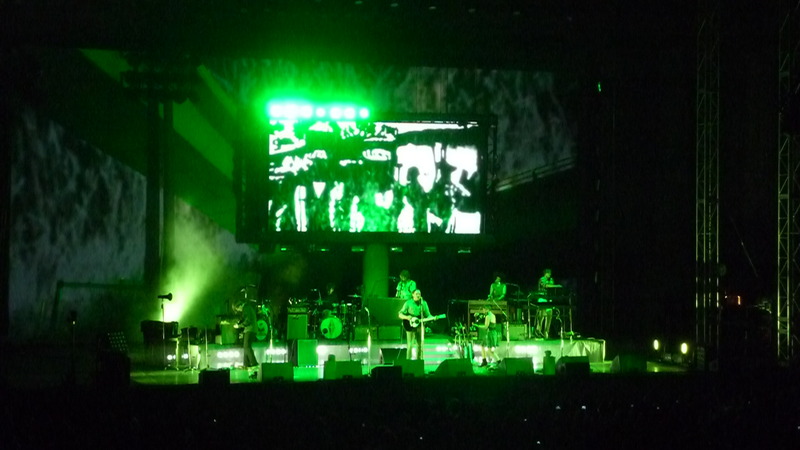 After their sophomore release, “Neon Bible“, and tour in 2007 they returned this year with the critical favorite “The Suburbs“. 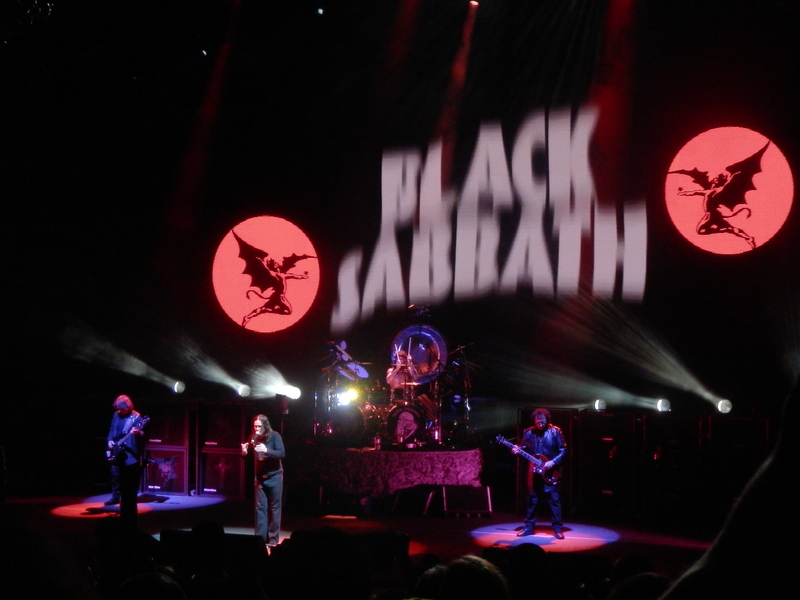 During these last 6 years, the band earned a reputation as an amazing live act, blending wild abandon with a determined raw energy – building epic tracks towards frenzied crescendos. 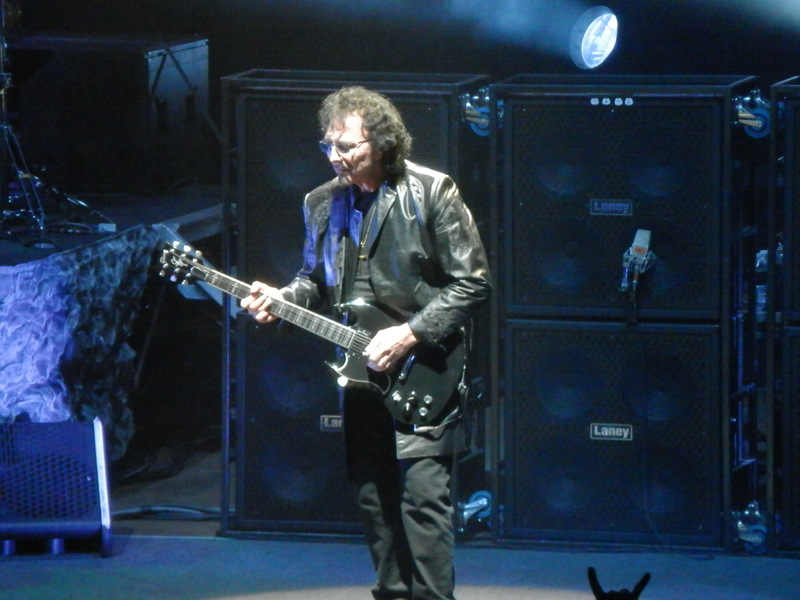 Therefore, we waited anxiously for the recent tour’s visit to the Greek theater on the campus of UC Berkeley on October 2, 2010. The show was amazing and hit all the right notes as hoped. 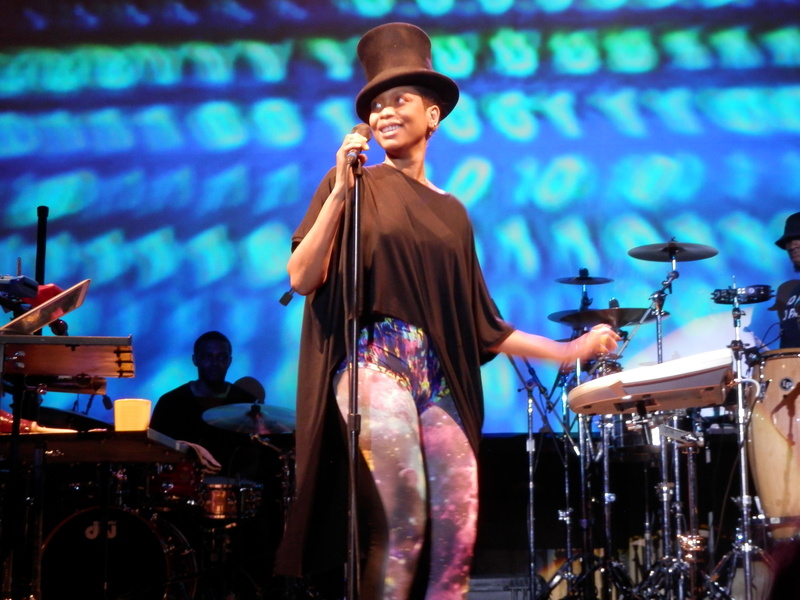 The band’s performance was full of emotion, energy and intensity. Yes there was wild abandon, but also a sense that the delivery was very carefully arranged and rehearsed. Lead singer guitarist Win Butler fronts most of the songs though several selections featured his wife Régine Chassagne as lead vocalist. All of the band are talented multi-instrumentalists each of whom switch duties throughout the show keeping things fresh and never dull. Lights, surreal video and a closed circuit live video feed of the show were very effectively combined on a central large hi-definition monitor placed in front of a full sized projection backdrop. 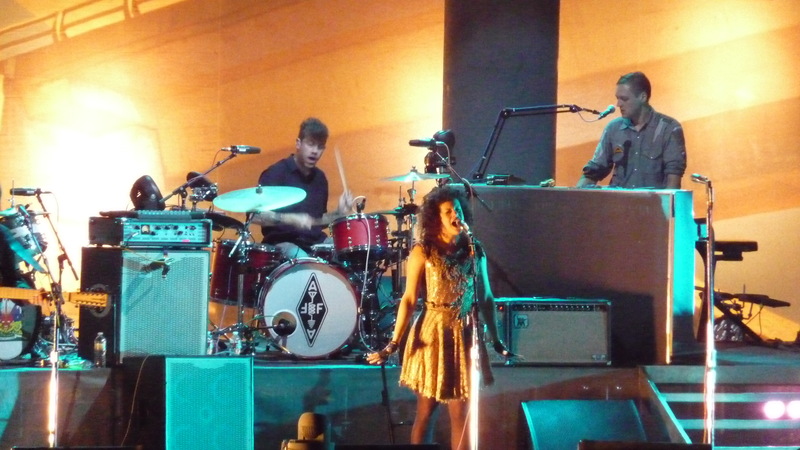 Highlights of the performance included the chipper “Sprawl II” sung by Régine in a childlike lilt. The dramatic track “Rococo” is a personal favorite which was rendered even more powerful in it’s live delivery. They closed the show with their epic first hit “Wake Up” and delivered it’s sing-song finish along with enthusiastic audience participation. Heart warming inspirational show – highly recommended.